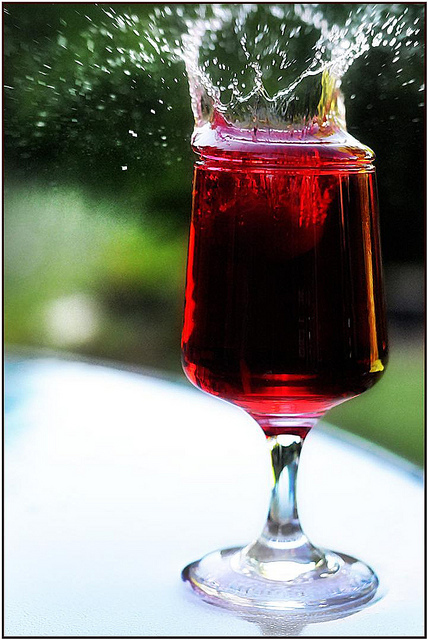 Cranberry juice; photo by Lee Morley on Flickr (noncommercial use permitted with attribution / no derivative works). 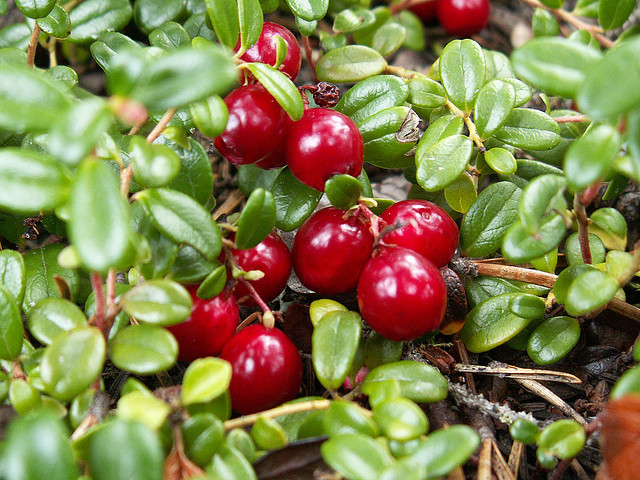 The cranberry is in the same family as the blueberry (Vaccinium); both are native North American fruits introduced to settlers by native Americans. Cranberry juice was first made by colonists in 1683, but not produced commercially until 1930. Cranberries evolved in unique wetland conditions created by melting glaciers (now commercially cultivated in "bogs" through the northern United States). This tart, ruby-colored berry was first named "crane berry" by the Pilgrims, presumably because just prior to blooming, the flower and stem resemble the head of a sandhill crane (these birds also love cranberries, and were seen wading the bogs, scooping them up). Commercial cultivation of cranberries began in the early 1800's in Massachusetts. Some vines on Cape Cod are more than 150 years old. Cranberries are high in vitamin C and have more antioxidants than any other fruit. 70% of harvested cranberries are processed into juice, concentrates, and juice blends. The recent introduction of white cranberry juice has been a boon to growers by enabling two harvests a year (one in the summer for the white berry, and a second harvest in the fall for the red berry). Wild cranberries; photo by Theodore Garver on Flickr (noncommercial use permitted with attribution / no derivative works).